With Bad Company 2, the Battlefield series has now matched or exceeded the Call of Duty series in each of these areas. First, modernity. Each franchise is actually quite similar in its fictional setting. In both series you play a Western soldier confronting a menace originating from the former Soviet Union. 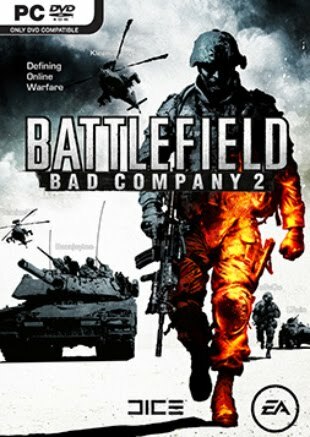 But Bad Company 2 allows players to use a much broader range of modern military materiel, including tanks, helicopters, Humvees and other vehicles. More important, the virtual environments in Bad Company 2 are much larger and more diverse than those in Modern Warfare 2. Multiplayer battles in Modern Warfare 2 feel like chaotic arenas with people running all over the place looking out for themselves. In Bad Company 2, teamwork and voice communication are essential; the combat environments are more interesting and feel more akin to what I imagine a modern war zone to be. Yet the biggest leap in Bad Company 2 is in its single-player campaign. It is only six or eight hours long — comparable in length to the main story in Modern Warfare 2 — and while it is not propelled by scripted set pieces as cinematic as those in the competition, Bad Company 2’s narrative glistens. The characters in Bad Company 2 — the redneck, the hippie pilot, the geek, the weathered sergeant — are profane, quirky and usually hilarious. By contrast, the characters in Modern Warfare 2 are somber, even dour. War is obviously serious business, but the characters in Bad Company 2 seem to be having a lot more fun. And third, DICE has now fine-tuned the persistent role-playing components of the online game, by giving players a panoply of ways to advance their characters and garner recognition from other users around the world. One final technical note for consumers: Bad Company 2 is a game that needs to be played on a powerful PC, rather than a console, in order to be fully appreciated. I played mostly on a big rig from AMD, the chip maker, that was able to produce some of the most beautiful graphics I have seen in a shooter. Perhaps more important, the AMD machine came with an ATI Radeon HD 5870 video card that is able to support three monitors at once.